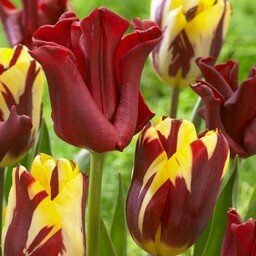 New, large, ornate flower with beautiful edge - 10 pieces size 12/+ -Tulip bulbs will be delivered from September 15th! 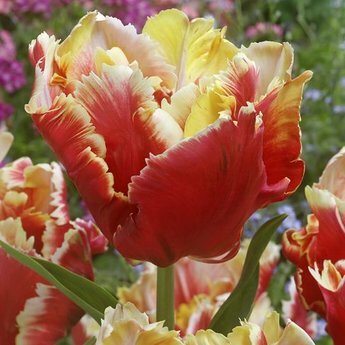 DJ Parrot is a whole new parrot tulip and available exclusively at Tulip Store. He gives very large flowers with a creamy yellow edge. This edge is getting whiter during flowering. 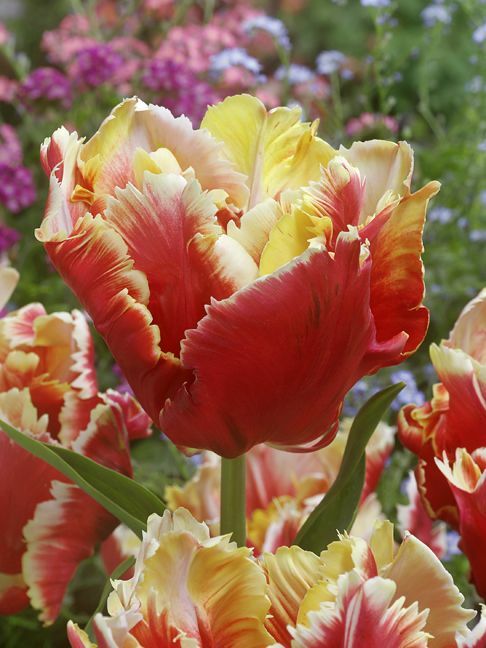 DJ Parrot is a very elegant flower that is very suitable for the border or for the pot. 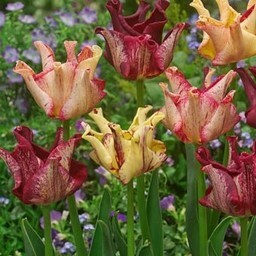 Combines well with the Cameleontulip Flaming Crown. Tulip bulbs of the largest size 12/+ will be delivered.